Cut open, look inside and cut out what needs cutting out - this is the everyday job of oncology surgeons when putting it plainly and in highly simplified terms. The difficulty here is that even very experienced eyes sometimes find it hard to differentiate between healthy and unhealthy, that is, tumour tissue. Vasilis Ntziachristos knows this well. An engineer by trade, he develops solutions for colleagues from the medical field, together with other medical practitioners, natural scientists and engineers. His greatest success so far: he injected cancer patients with a fluorescent agent that was absorbed by the tumours, thus facilitating the surgeons' work. With a special camera, even the smallest scattering showed up brightly glowing during surgery. 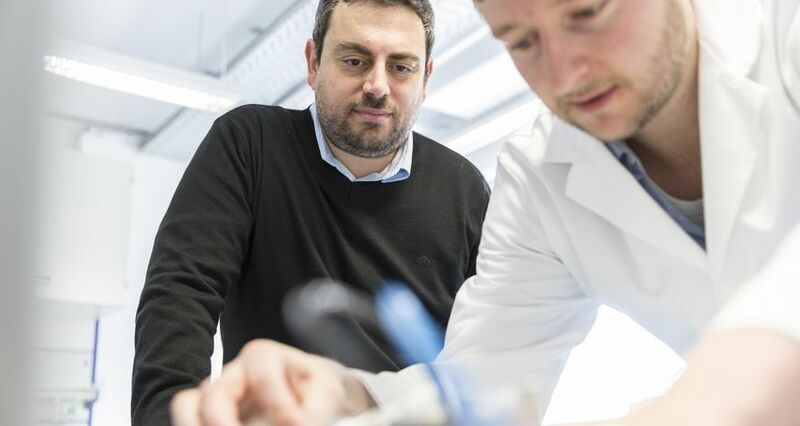 Now Ntziachristos and his colleagues have gone one step further: by now, they are able to identify tumours even before surgery. To this end, they use a very basic instrument - light. For when a light impulse hits tissue, this spot displays minimal warming, resulting in the tissue expanding. This in turn creates a tiny sound wave, which can be measured using special devices. A measuring device is either applied to the skin or inserted through an orifice via endoscopy. Each kind of tissue absorbs light differently; tumour tissue emits different sound waves than healthy tissue. Ntziachristos has developed a computation process that transforms the sound waves into 3D images. This results in complex images from inside the human body merely by means of laser light and sonar devices. Because the method uses optical and acoustic phenomena, it is called optoacoustics. So far, tissue to a depth of up to three centimetres can be examined in this manner. Some time ago, Ntziachristos received the renowned Leibniz Prize awarded by the Deutsche Forschungsgemeinschaft (DFG, German Research Foundation) for this and other work. "We do not aim at substituting magnetic resonance imaging or computer tomography, which both can look into the body to far deeper levels", says Vasilis Ntziachristos, current Director of the Institute of Biological and Medical Imaging at the Helmholtz Zentrum München. "But we want to improve the optical methods so that expensive and time-consuming MRI equipment is required less frequently." This would provide also private practice physicians with better diagnosis options. "The currently available optical methods produce only two-dimensional images", says Ntziachristos. "So surgeons often did not know exactly what would be revealed when starting an operation. Now these simple methods provide them with a 3D image in colour and high resolution prior to surgery and they can look into the diseased tissue." Already, the equipment developed by Ntziachristos and his team is being used in several hospitals worldwide. "The principle is pure genius", Stefan Delorme from the German Cancer Research Centre in Heidelberg agrees. "There is no ionising radiation such as when doing an X-ray and the minimal warming of the tissue is quickly diffused by the bloodstream. But, of course, one can look only as deeply as the laser can reach." 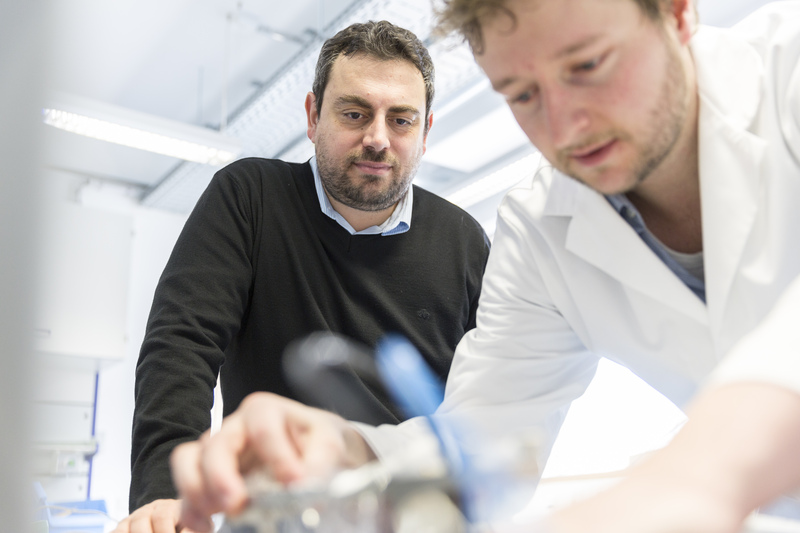 In a next step, Vasilis Ntziachristos intends to merge his two major developments: the utilisation of dyes for the improved differentiation between forms of tissue and the imaging of this tissue by optoacoustic means. The approval procedure for using the dyes still is ongoing in Germany, says Ntziachristos. "Yet we have already obtained approval in the Netherlands and the U.S."
Vasilis Ntziachristos is Director of the Institute of Biological and Medical Imaging at the Helmholtz Zentrum München and Professor at Technische Universität München. After attaining his electrical engineering diploma he went to Copenhagen University and later to the U.S., where he delved into the topic of medical imaging. In 2013, he was awarded the Leibniz Prize and in 2012, the Erwin Schödinger Prize.